At the suggestion of one of my biggest followers, my gparents, I ventured out to find and try Home Run Inn Pizza. They proclaimed this to not only be amazing frozen pizza but, also better than any other pizza option in Bville. As luck would have it, Publix ran these on BOGOs a few weeks after the discussion. To me, frozen pizza is good in what it is. It is important to remember not to compare it to real pizza. Besides DiGornio, I pretty much like all varieties of frozen pizza. Back in my camp days, I did eat quite a bit of it. But not, with my Big Girl Job, I have swayed away from it. Well, I am here to say that Home Run Inn Pizza knows how to knock it Out of the Park. 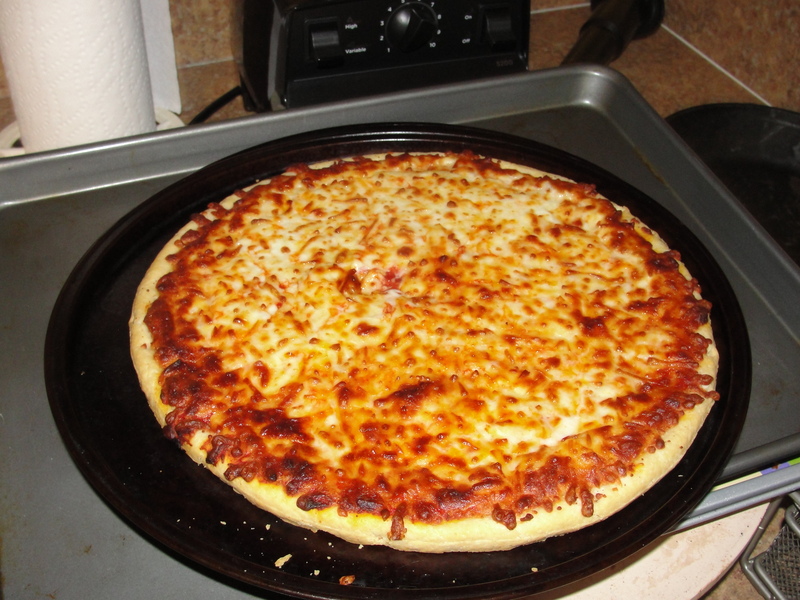 Since this was our first time trying it, I selected the Classic Crust with just cheese as a topping. The pizza cooked up exactly as it said it would, in the given amount of time. I was shocked to see how few ingredients this stuff had. Not only that, but it was preservative free and even provided a few grams of fiber in each slice. I prefer frozen pizza to be room temperature or cold. The first time we tried this, I ate it hot. I will say that the second time we had it, I had it out of the refrigerator and I enjoyed it much, much more. Also, this was a fairly good sized frozen pizza…you indeed got your moneys worth. The crust on this pizza is by far the most original crust I have ever had with a frozen pizza. It is not crispy and is thin but, not cracker thin. I found the flavor to be somewhat simple with a definite taste of bread to it. 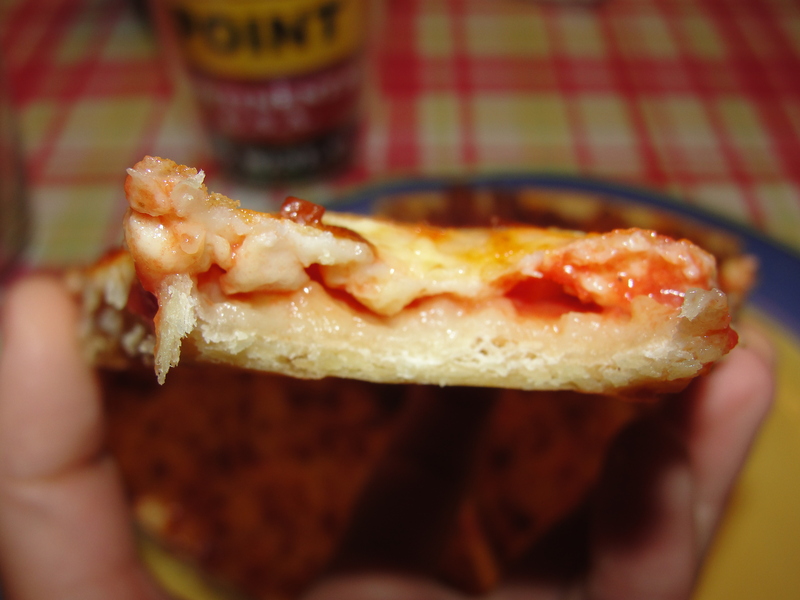 The sauce on the pizza was pretty good, especially compared to the sauce on many frozen pizzas. No – this sauce is not brand new and fresh but, it does carry a nice tomato flavor to it. Without a doubt, the cheese on this pizza was the strangest taste ever. I don’t even know if I will do it justice in my explanation. While the cheese was indeed cheesy, it tasted as if it had the flavor of beer infused in it. This was very noticeable on the first bite or two of the pizza, especially the first time I tried it. I found this flavor to be much more muted when the pizza was cold. 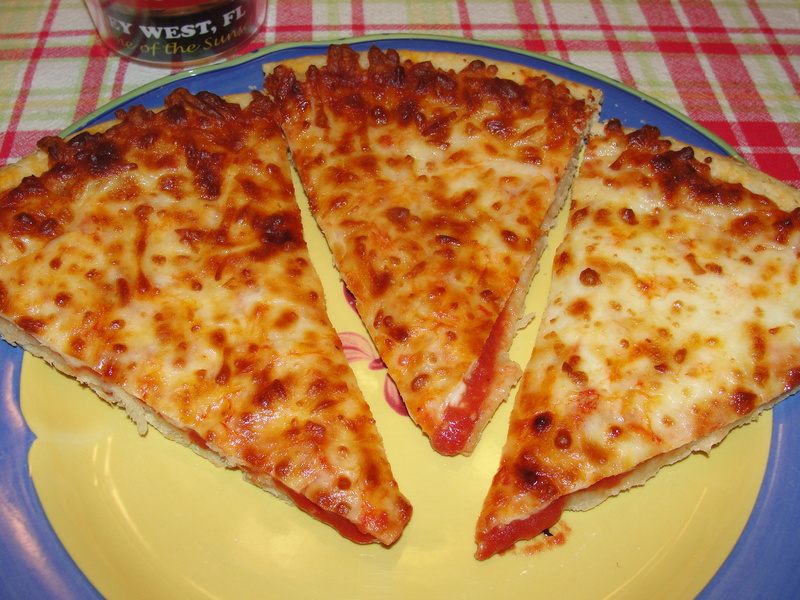 Home Run Inn Pizza is a nice option for frozen pizza. A peculiar crust, tomato sauce and beer flavored cheese, gives this thing a flavor all its own. While it is still not comparable to real pizza, I found this to be a very nice option for frozen pizza. Taylor enjoyed it as well which is quite a feat – he normally does not like frozen pizza whatsoever. I will certainly be trying and purchasing this pizza again. If you have the opportunity to try it – especially with a BOGO deal – do it. It is sure to be Out of the Park. Thanks for this post. We will be trying it for sure now!